Responses to the most common objections faced by sales professionals in the IT Staffing industry. As former IT staffers ourselves, we love objections in the sales process. The person you're speaking to has just told you the exact thing you need to overcome to close the deal. A list of 20+ of the most common objections that IT staffers encounter. A script for responding to the objection in a way that communicates empathy and acknowledges their concern. At least one rebuttal (often multiple) that will help you address their objection and keep the conversation going. So go ahead and pop your information into the form, click the download button, and put this playbook into action to close more deals! 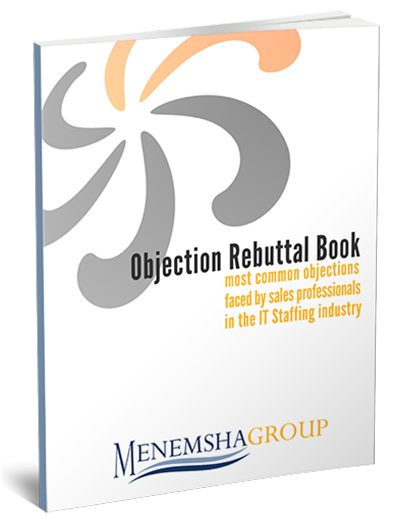 Download IT Staffing Sales Objection Rebuttal Book Today!